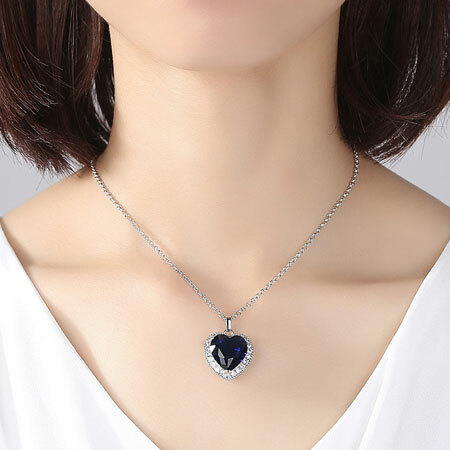 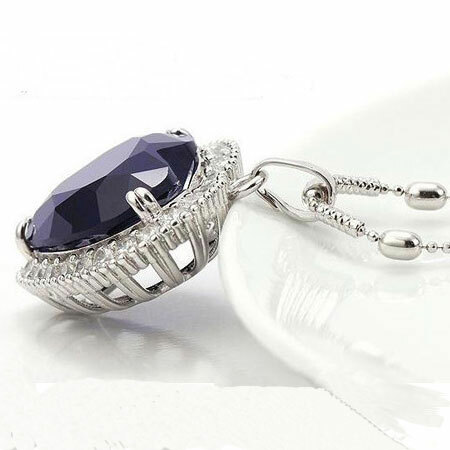 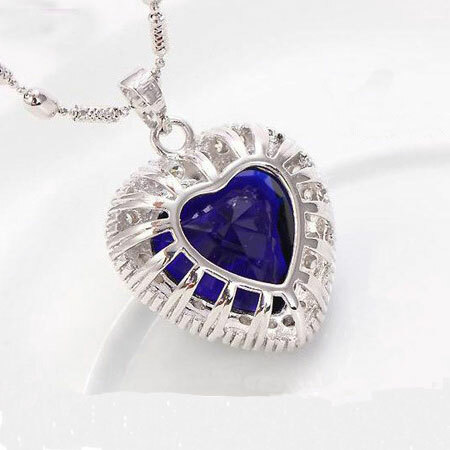 This Sterling Silver Heart of Ocean Blue Sapphire Pendant September Birthstone Necklace absolutely adds beauty to your look with it's simple and unique design. 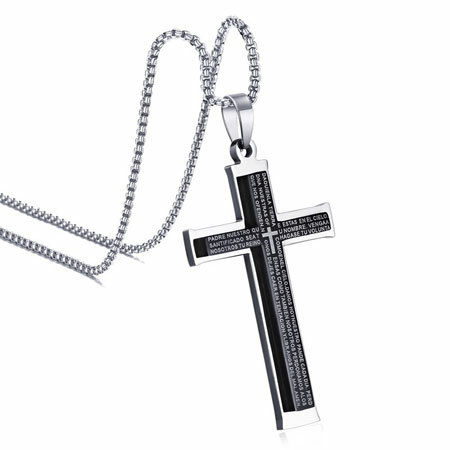 The Sterling Silver Chain is plated with white gold, in such high quality that it just look like sparkling Diamonds. 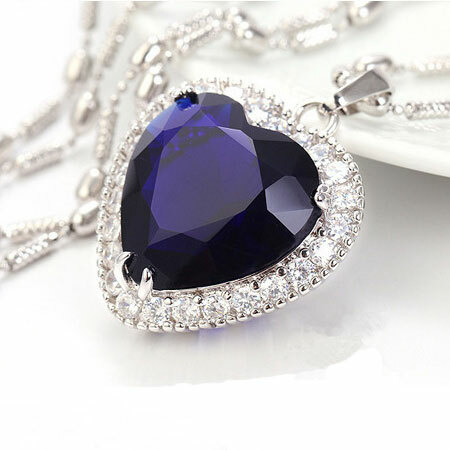 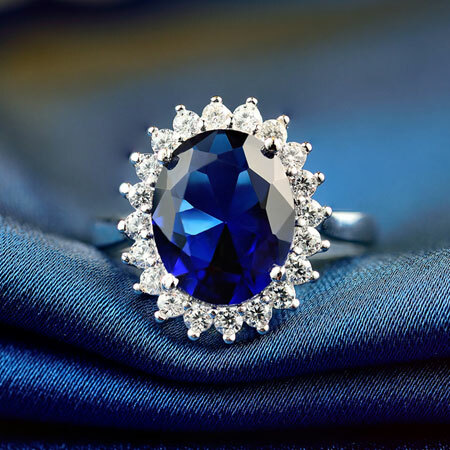 The blue sapphire teardrop birthstone Pendant and the circle diamond are cut from top grade man-made crystal. 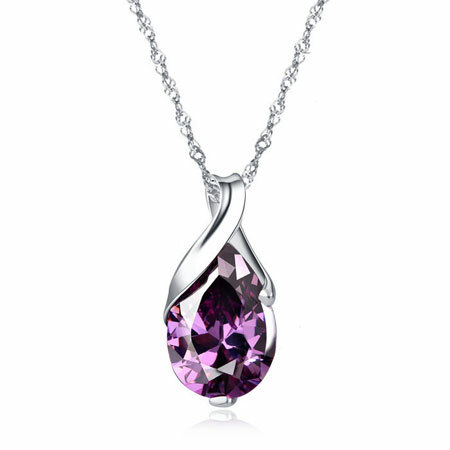 The notch teardrop pendant make it unique and keep you ahead of the fashion jewelry trends. 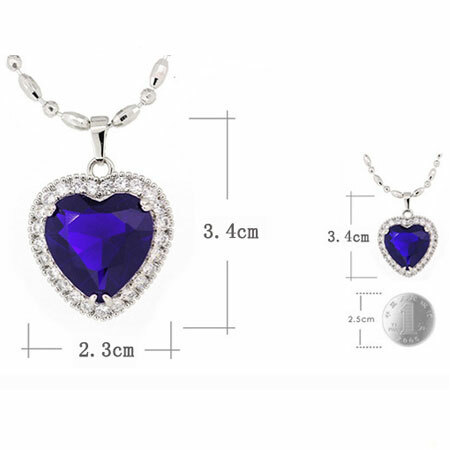 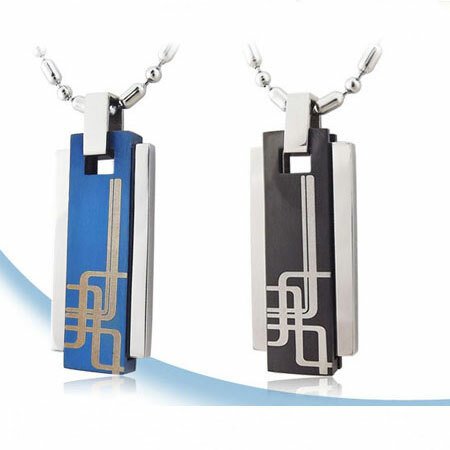 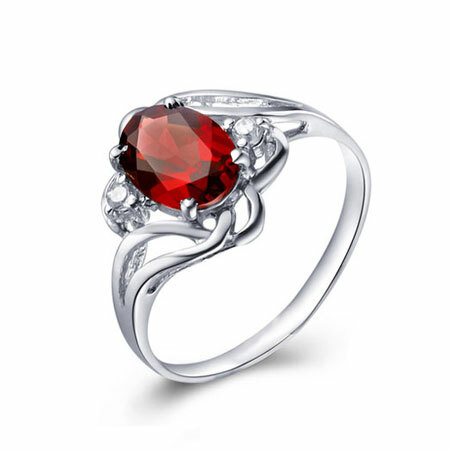 Chain size: 16", 18 "
This is a piece of fashion Jewelry that will never lose its appeal. 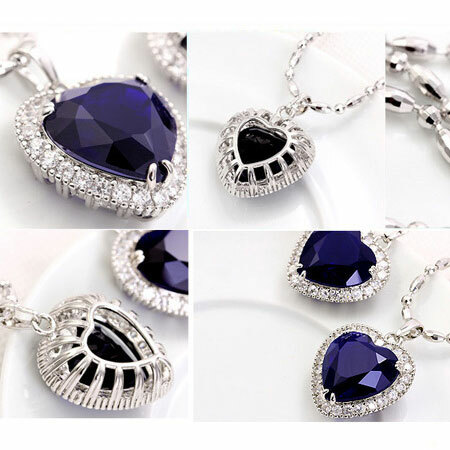 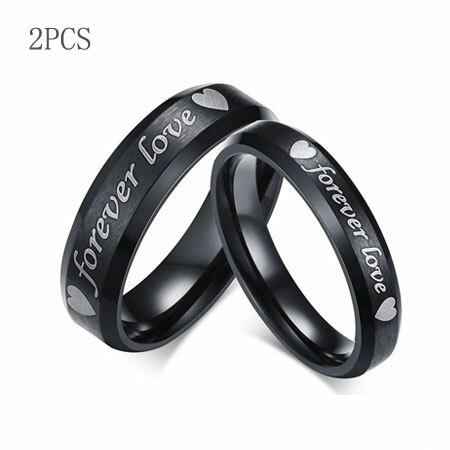 It will be nice gifts for girlfriends or gifts for wife.